When Front Porch Republic came into the world seven years ago, it did so largely on the strength of an intuition. Everyone was weary of “bigness.” The financial collapse triggered by the failure of banks that were “too big to fail”; the ever expanding war on terror, which had led to the biggest American foreign policy disaster in one hundred years; an Obama administration that promised to add an average of 1 trillion dollars to the national debt annually (a promise it has kept); such items ran in big block letters on the front pages of our newspapers. But in the back pages, one saw many smaller signs of such weariness. An interest of those living in big cities to “know their farmer” and to buy what they ate from places near where they lived; a rise in the number of young people, mostly by necessity, returning to their hometowns, and seeking to improve them where they could; a rise in young “aspirant” farmers and a tremendous increase in the number of intergenerational households across the American landscape. Thanks to Bill Kauffman and others, one also began to hear tales of secessionist movements in all fifty states: from liberal socialists in Vermont seeking to carve out a fleecy paradise of freedom in the north woods to rural Californians sick of financing the unsustainable welfare and cultural schemes hatched in the liberal corridors of power in Sacramento. Finally, it just seemed that everyone regardless of politics was reading the books of Wendell Berry and finding nourishment in them. Could this convergence of interests among “bourgeois bohemian” locavores buying kale at their co-op, and liberal policy analysts with an appreciation for the cultural capital produced by community self-government, with “fire-eating” Jeffersonians, Kirkian traditionalists, the odd monarchist, and a handful of Chestertonian distributists, come to anything? I, a mere student of Aristotle in search of a way to live in accord with nature, was anxious to learn. But, I rather doubted it. But there were occasional small signs that something may be striking home. First, there was the modest rise of Phillip Blond’s Red Toryism, in the United Kingdom (not to mention the sensation it created here). And then, for goodness sake, Rod Dreher moved home! The most promising signs were, sad to say, the continuing discontent among the electorate in the United States and abroad. In every instance, the theme was the same. The deracinated, globalising elites that constitute the supermajority of the political class in western nations viewed their people with contempt and were, more and more, being held in contempt by the people. 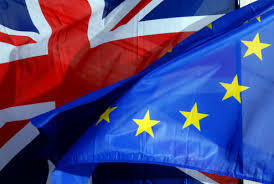 Yesterday’s vote by the people of the United Kingdom to withdraw from the European Union is — by several orders of magnitude — the greatest sign that the peoples of the West have lost trust in the institutions of “bigness” with all their empty utopian promises and would rather participate in the difficult work of shaping their own future. Such a vote was certainly a vote against the ongoing bureaucratic regime of the Union, against its reduction of member states to servile clients, and against the suicidal immigration and migration policies that have brought the Union to intractable crisis. It was not, therefore, primarily a vote for a restoration of genuine self-government seen as a good in itself. As Blaise Pascal once suggested, all philosophy begins in disappointment. Our vision of the political good, of justice, emerges out of our encounter with failure, injustice, and discontent. One has first to know one knows nothing before one can seek after wisdom, and one must sense the “pain of loss” that comes from sin before one can seek redemption. Those positive elements we saw years ago converging on a preference for, even a sense of the necessity of, the local — in food, in culture, in sacred rite, and political act — however genuinely good they were, were also first born of disappointment. Alienation in a world of institutions grown teratological — too big for their own good or the good of those they claimed to “serve” — occasioned the rediscovery of such things. Liberal rationalism, with its obsession for the totalizing system, of bringing every dimension of human life under the rule of administration, with its conviction that every serious distinction between persons was a policy problem to be solved rather than a cultural condition to be reckoned with and even revered, was bound to end in failure. And so, our moment, with its myriad and mostly inadequate quests after a proper human scale, was inevitable in turn. But let us be clear. The vote yesterday was no vote in favor of those good things. It was a vote that revealed the fraying of elite consensus and the submission of the masses to it. It was a vote that testified to how little, how weak, a sense of nationality, shared culture, shared faith, and a shared sense of the common good is left in the United Kingdom. And the votes that, I presume, will follow in other member states will corroborate this general loss of faith. Ours, therefore, should be thought a populist moment. The people do not believe their leaders have either their own interests or the common good of their polities at heart, and so those leaders are being rejected. We have had several years now to try to come up with some political vision to replace the one those leaders tried, to our loss, to put in place. Now is the time to bring that political vision to some kind of clarity and coherence. The rise of Donald Trump’s candidacy has certainly brought some of the questions essential to that vision to the fore — a need to reassume our political responsibilities on immigration and citizenship, on the defense of the republic (as opposed to the prosecution of empire), on trade policy and a concern for domestic industry and manufactures. These are matters of great import. But they are small potatoes in comparison with the necessity of having a shared vision of the common good and the Good Itself. I doubt any western country, the United States included, has a sufficient remnant of moral imagination and cultural capital to restore such a vision. And I am hardly alone in doubting that Trump, for all the real questions about policy he has raised, has anything like the integrity or intelligence to help us do that. And so, yesterday’s vote affirms that we are in an age of widespread political disappointment, one that has gone so far that calls for change can win a majority. But we do not have sufficient resources, at least not yet, to do the hard work of political “philosophy,” to discern, as a people seeking to be virtuous together, a genuinely good alternative to the status quo ante. Unless we can find them, the fracturing and withdrawal of polities will remain what it presently is — a mere politics of dissolution that will gain in force as it approaches entropy. But if we continue to make the case, in ever new and ever more compelling ways, that Aristotle first made twenty-five-hundred years ago — that all politics is local, because human nature finds its fulfillment in the shared life of a city — perhaps present disappointment and dissolution will finally become a prologue to an order more modest and befitting to human nature, and to a politics not of optimism but of hope. Thoughtful and helpful. Thank you. Do you mean the part that has not been done is the being virtuous, or the forming of the political philosophy, or both? I agree that virtue is a necessity for self-government, and that our supply is low (thanks in part to a central state which encourages the same to advance its own self-interest of producing a population which needs “oversight”). I don’t agree that the hard work of the philosophy has not been done, for I (for one) have done it. Localism has been tried before, and it has produced, in virtuous people, better government and more liberty, and better lives than any other system known to man. What it has not done is that it has not been sustained. Each generation of Americans for example, has found itself living under a more centralized state than their predecessors. This is so regardless of which way they voted. What is needed is a structural blueprint by which a society might protect itself from the tendency of government to gather up power further and further from the individual over time. How does the state centralize power and what might we do in order to keep that from happening? That is what I think has been accomplished in my work. If I have gotten it wrong I would ask that you or your colleagues kindly explain how. I’d only quibble with your belief that young people are in on this. The election results suggest the majority of youth favour globalism and their chances of prosperity in the EU. There is of course nothing about “globalism” that requires the EU to exist. “Globalism” and “free trade” existed prior to the EU and outside of it as well. The EU isn’t about that at all. LOCALISM – heres the thing – and we’ve seen examples before of this – localist often don’t know its a thing. Often I finds folks (I’m an activist) that agree with many or even all the principles but haven’t thought of them in combination as a fabric of thought or as a philosophy. Remember the 1st time you heard a Rush Limbaugh show – most of us thought Yeah that is what I think too. Same with the Tea Party – like minded adults new to politics – and it took a couple of election cycles for them to get the hang of it. Same with localism – till I read the book I had all these closely held beliefs without shape, but it quickly took me to thinking of those concepts as a interlocking philosophy or system of governance. Every Independent office holder out there knows intrinsically that the partys are broken and don’t realize TILL LATER hey I’m not alone – this is really a community with out a name – except now it does have a name LOCALISM and that means it is a story or narrative made easier to tell and explain and growing in a exponential manner. MOST IMPORTANT – its a movement not a party just like the Tea Party is a movement , not a party. That is its strength BTW – not a fault. This is all sound and fury, signifying nothing. The UK is not going to leave the EU. Their political class won’t allow it. In 12 months there will be another referendum, and then 12 months after that if necessary another one, and if in any of them Remain wins by a single vote, then the people will have spoken and the matter will be closed. “Localism: A Philosophy of Government,” by Mark Moore is the premiere localism philosophy book of our time. You can tell Mark has spent years thinking it through and learning through political experience. It seems what’s missing isn’t just a localist philosophy but a philosophy of federalism in the sense of a political structure of levels and tiers of authority, and a philosophy observant of the principle of subsidiarity. Neither side seems to get this. A choice between “bigness” and localism is a false choice. The world is big, and we must find a way of living in international peace. Better yet is the word harmony, which means joining, not merely tolerant co-existence. We must not delude ourselves into thinking the world’s nations and communities, embracing a localist philosophy, can simply leave each other alone. Civilization, even in the most local instance, is global, permanently made so by technology, immigration and trade. The problem is how to live together. Surely underlying this problem of the relation of the local to the global is the eternal governing principle of all human society: All for one and one for all. The good of all and the good of each are interdependent. This is how we must frame the entire matter raised by the Brexit vote, Trump’s and Sanders’s success, and massive popular discontent these watershed historical events express. And this is the fundamental frame we must work to understand. I see the Anglo-Saxons have their war paint on. Clyde son of Will is even quoting Churchill now. Pacem Punicam bellum Macedonicum excepit. What was Farage doing at a Trump rally (held in the Southland!) recently? Are these two guys “localist” nationalists or something else? Meanwhile Clyde Son of Will, founder of a publishing house name Shotwell, was last heard from reviewing WWII flicks over at the Abbeville website…. Anglo-American patriotic localism at it’s finest. Five @#%& days and comment still in moderation?